From the High North: What does the fox say! Foxes are so in fashion at the moment and they are so cute! Some fellow countrymen of mine have become a big hit on YouTube with the song "What does the fox say". I have never heard a fox before... so I believe them when they give out the stages sounds! I have played around with foxes in knitting for some while and got around to a hat that I really love! The knitting pattern for the hat is available in the current issue of The Knitter (issue 64), and will be available on Ravelry next year. It's a fun and fast knit that gives a super hat to wear as winter approaches! 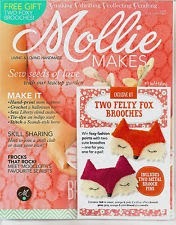 I bought Molly Makes the other day and the free kit was two felt fox brooches! Both were made the other day and worn at a party on Saturday! The fox is a clever little fury friend, and she lend herself so well to designs for all sorts of things. 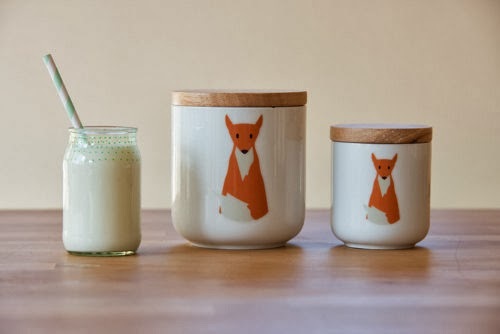 I have so many favourite foxt things on Etsy! 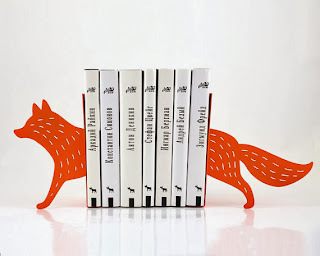 I love this bookends from Article. They are a very creative duo in Ukraine. Searching for "fox" on Etsy gave nearly 50 000 hits! 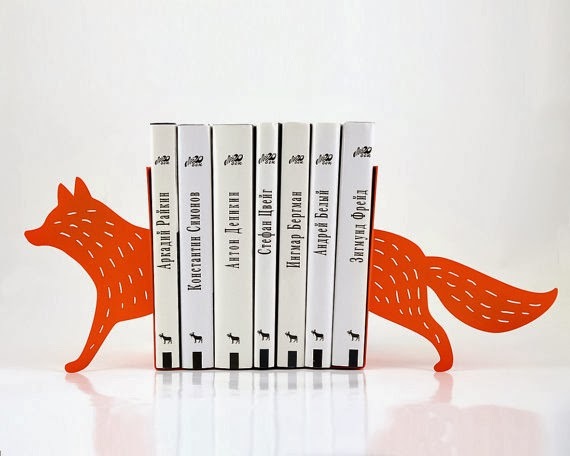 Is the fox the most popular animal in design?! What a bout these lovely jars on the breakfast table?! I would certainly feel inspired after breakfasting with these lovely foxes! They are made in London by Poussepoussecitron. 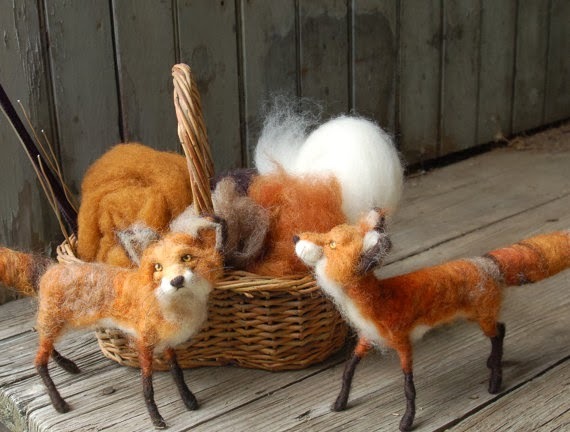 As I love needle felting I can not help admiring these beautiful foxes. They are made by Sarafina Fibers in Elkton, Maryland, USA. What about wearing these great mittens as you wiz down the street? I simply love them and they do go well with my hat. They are made by warmYourself in Poland, and if you are quick to buy you can take advantage for the autumn sale in store. I made a smartphone cosy based to the hat pattern and here it is! If you want to make it you can buy the pattern on Etsy. The classic story form the woods including foxes would not be the same without a hare! 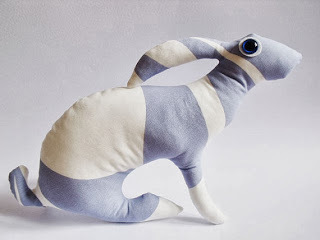 One of my favourite shops on Etsy stocks a lot of lovely hares. Annette in Scotland manages so well to capture the movement of the hare in her wonderful soft sculptures.Check out her shop TheLeveretsNest. She ever so often support animal welfare charities and she is an excellent painter too. So, what dose the fox say?! hey!! what a delightful surprise! thank you Eline! Love your hat design. My friend laughed at me last night when I confessed that I have "Scandinavian-heritage-envy" (her parents are Finnish)...alas, I'm Irish-Canadian. 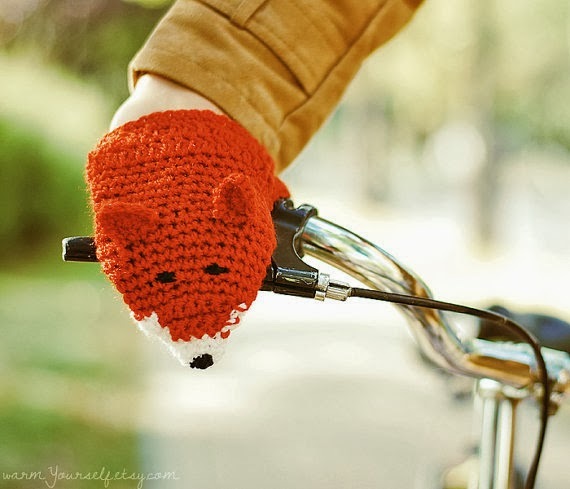 Here's a link to a lovely fox pattern that I have yet to knit...love them! I look forward to perusing your blog posts!